Details on older people's involvement: Older people identified the need for a charter to improve customer care in our Af baseline consultation and they identified the key principles and checklist for te AF assessemt . 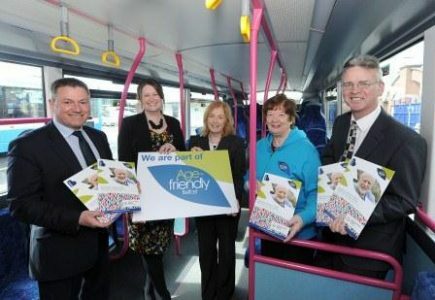 Older people sit on our planning and monitoring group for the charter, we report on progress to Greater Belfast Seniors Forum and older people will be trained up to carry out Mystery Shopper visits. 1. Balancing the realistic needs of businesses and the key issues for older people-having practical input from both these groups in the development of the charter2. Engaging a wide range of organisations to sign up to the Charter. We are currently working closely with the Chamber of Commerce and Business in the Community to promote the Charter through their networks.